New perfumes in my collection! 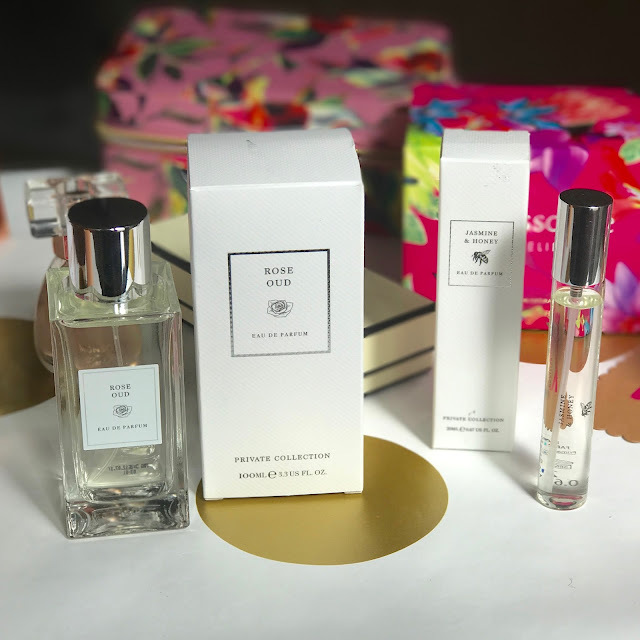 This week I thought I would share with you some perfumes that I have recently purchased, or been gifted, that I am loving. 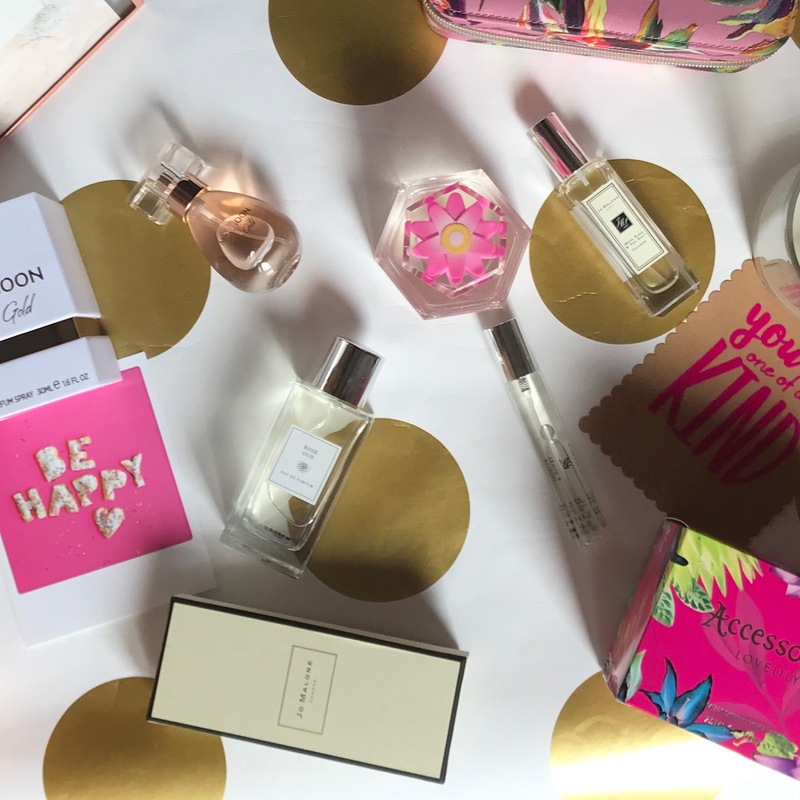 It's funny how it's not until you do a blog post, you realise how many perfumes you have. But it just so happened that I had run out of a few perfumes, and it coincided with my birthday, so I decided to treat myself. I'll stop trying to justify myself now. 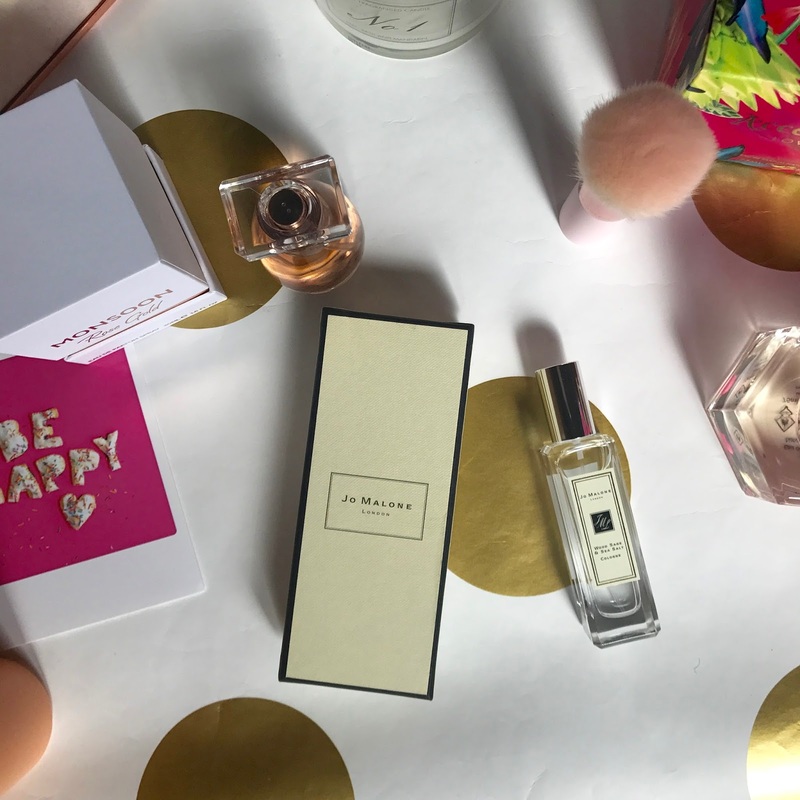 Perfumes are definitely a very personal thing, however I have got a mixed bag of scents coming up, so make sure you have a look through to see if anything suits you! 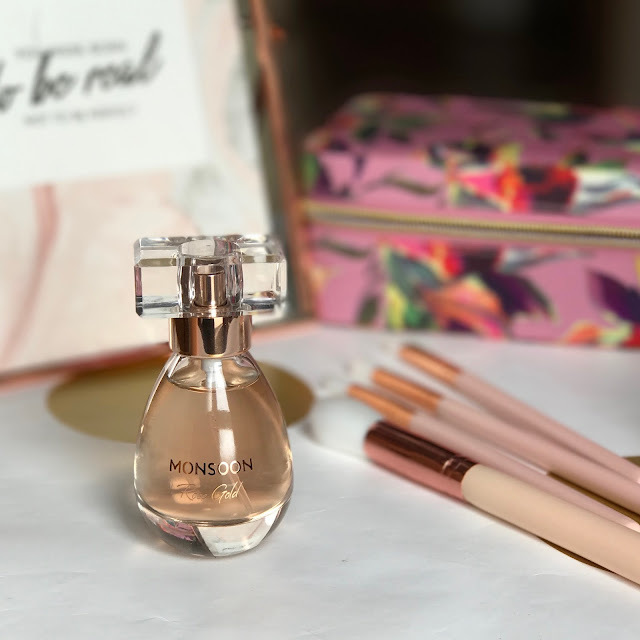 Carrying on with the luxurious feel, next up we have Monsoon's signature fragrance - Rose Gold. 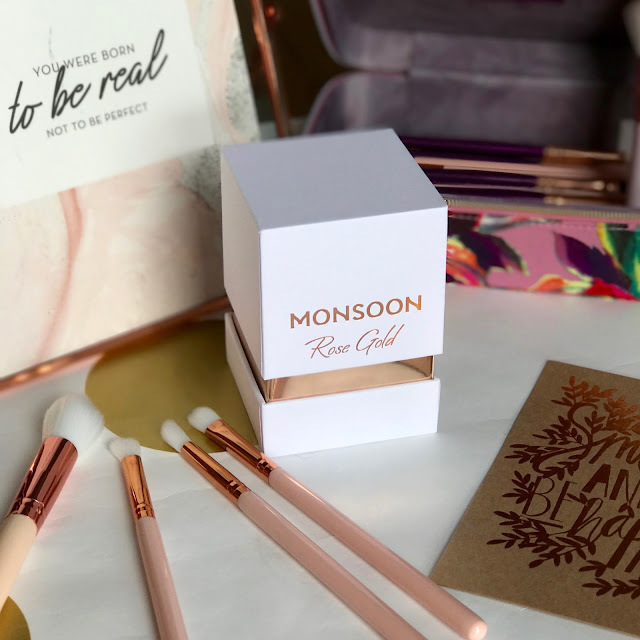 You all know what I'm going to say... ROSE GOLD! *Heart eyes emoji* As soon as I saw the packaging I was like forget what it smells like, this is going pride of place on my dresser, and it hasn't moved since! But the beauty doesn't stop at the packaging, it truly is a lovely fragrance too. When I sprayed it, I loved it straight away as it just oozed sophistication. It is a feminine scent, with vanilla, musk and amber notes. It has a fruity accord with notes of mandarin and lemon, which when combined produce a more-ish fragrance. It's definitely one I would wear on date night and I can see myself using for a very long time - it has become a favourite. Now for another great addition to my collection, Lovelily by Accessorize. When I saw the packaging I immediately thought it would be a very floral and sweet scent, which is totally not me. However I was pleasantly surprised at how wearable this fragrance actually is. I thought it would be over-bearing, and a little heady, but it's not at all. I would describe the overall smell as floral, as it has hints of jasmine and vanilla. It's quite a fun fragrance and I could definitely see myself wearing it when I go out shopping or when meeting my best girl friends for a catch up. 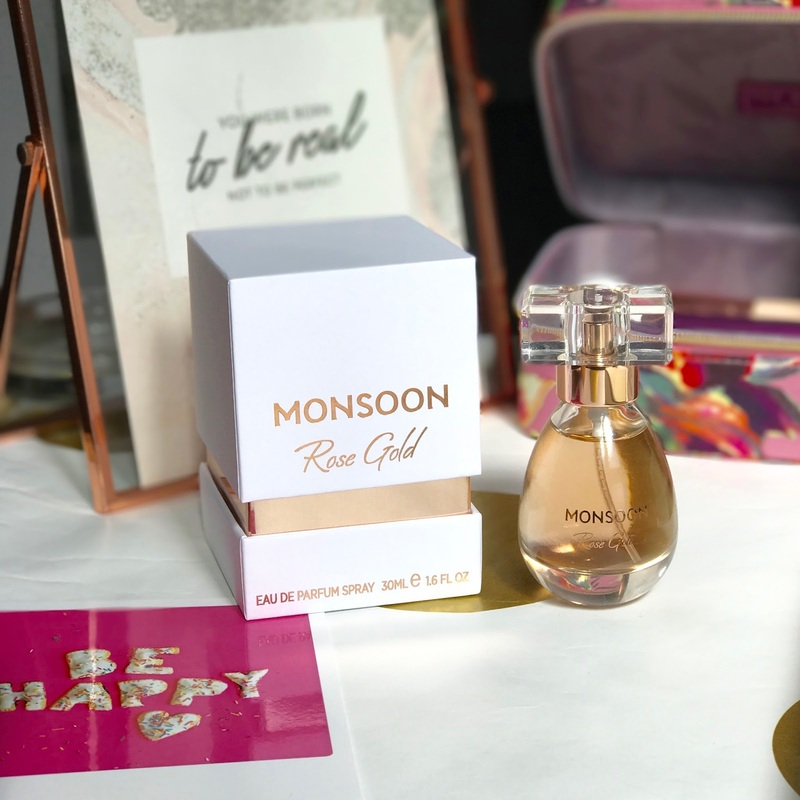 It's quite versatile, in that I have also found myself spritzing my little girls with it and it would be perfect as a gift too. I love the packaging and how the bottle is hexagonal. The little flower in the lid just adds that extra bit of excitement and I like how the pink follows down into the bottle to resemble a stem. Now when I say bargain, I actually mean BARGAIN. Seeing how this product is eau de parfum (EDP), meaning it has a higher percentage of pure perfume compared to eau de toilette (EDT) or eau de cologne (EDC), this is value for money. 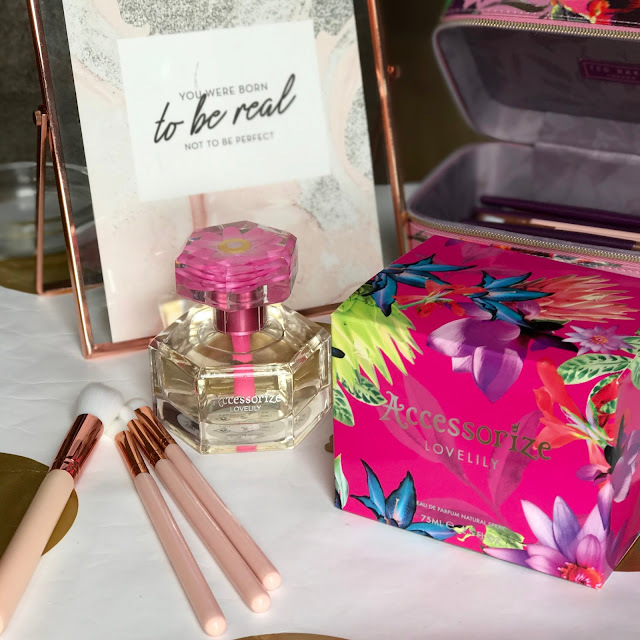 I love rose-scented products and had heard so much about these in the blogosphere, that I had to get my hands on whatever stock Primark had, which just so happened to be Rose Oud and Jasmine & Honey scents. Rose Oud is not for the faint-hearted, it is a very strong smell which is quite opulent and decadent. It is floral with quite a woody top note. It reminds me of sandal wood incense and I'm still not sure the scent is for me. However, the price is for me and it had to be bought. In terms of staying power, I wouldn't say it lasts quite as long as other EDPs I have, so maybe it's on the lower percentage of pure perfume, but it is definitely worth a purchase! 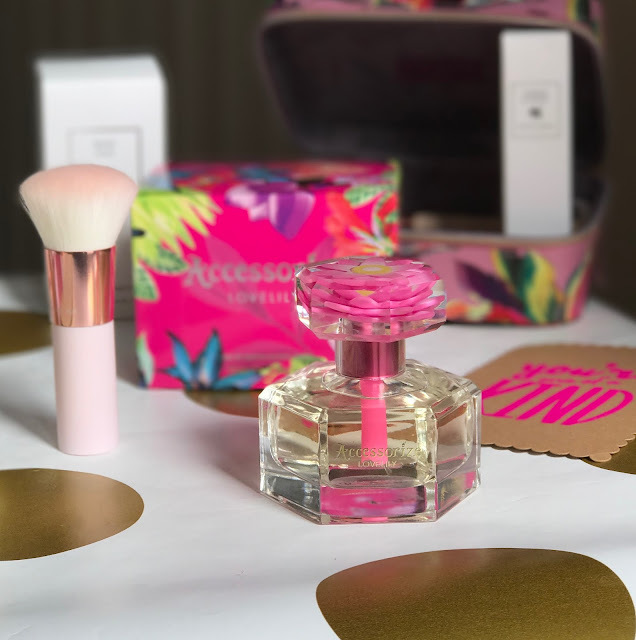 I bought this perfume because of the fantastic size it comes in, I thought it would be perfect for my hand bag when I need a quick top up and it really has been. Again I bought this because it was one of the only scents that were left but I have really enjoyed using it. It is not a stand out scent, in that I don't think it will get people asking you what you are wearing, if you know what I mean. However it is a very pleasant smell which is quite sweet, zesty and refreshing at the same time. 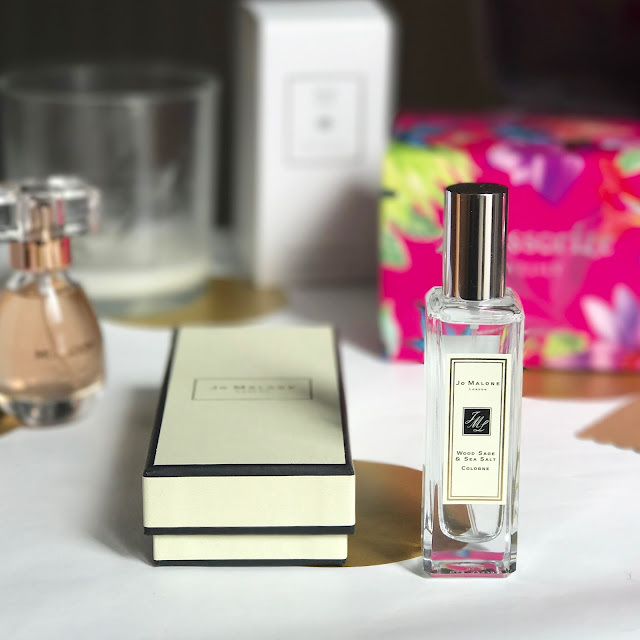 So those are my recent perfume buys and none of them really break the bank (well apart from the Jo Malone), but I think I also have some great alternative options to the standard designer brands. What's your favourite perfume? Have you tried any of these recently? 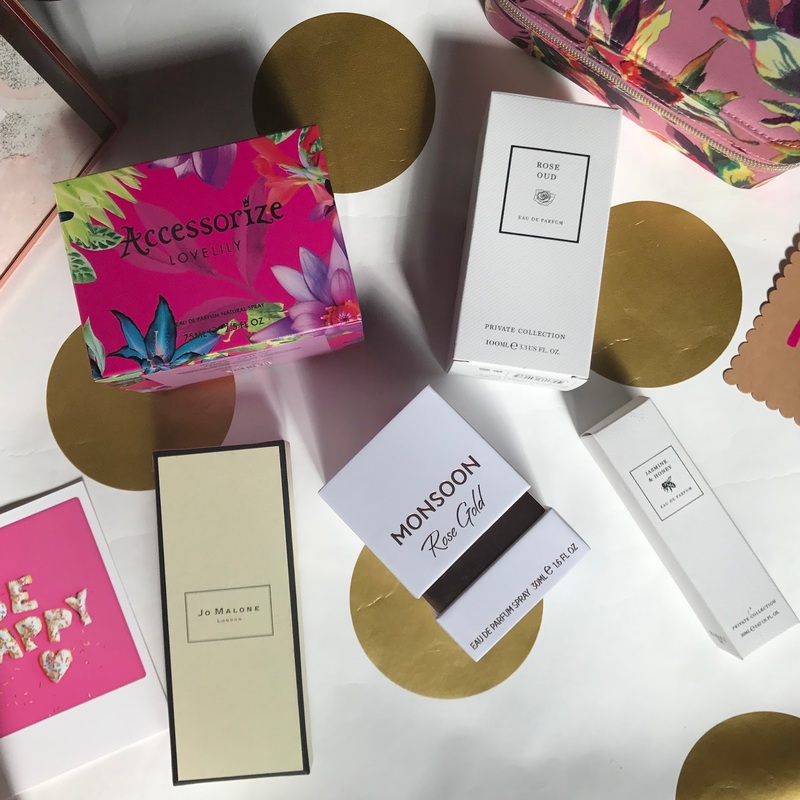 I've tried perfumes from Accessorize and Primark, I have to say that some of them smell way better than some high branded fragrances. I would love to own a Jo Malone scent but I just would not know what one to go for! On the off chance that financial plan isn't an issue for you,Emily Blunt Wrinkle Cream at that point you are in fact fortunate and you can feel free to purchase whichever perfume that gets your extravagant. 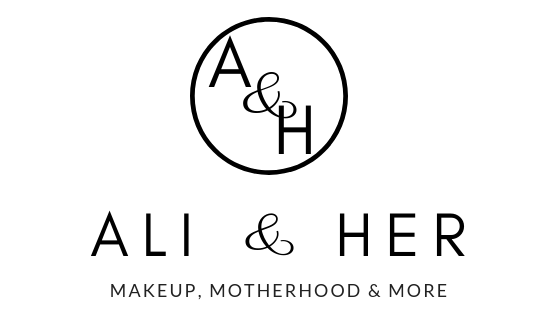 Curly Hair Saviours & GIVEAWAY!